Dr. Rosenkranz (aka, Dr. Rosy) has been a pediatric dentist for over 40 years. He graduated from Hofstra University in New York and earned a degree in Biology and Chemistry. He then attended the University of Pennsylvania School of Dental Medicine where he obtained his dental degree. Following his education, Dr. Rosenkranz was assigned to the Pentagon during the Vietnam War where he attained the rank of Major. Honorably discharged, he then attended the University of California San Francisco School of Dentistry to complete a two-year residency in pediatric dentistry. After obtaining his certificate in pediatric dentistry, Dr. Rosenkranz spent an additional two years studying growth and development with the former chairman of orthodontics, Dr. Richard List. 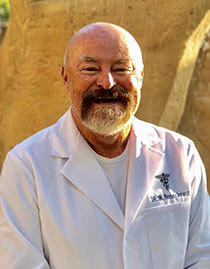 He has been practicing both pediatric dentistry and orthodontics for over 40 years. Both him and his wife settled here in Menifee over 2 years ago, and love the SoCal weather and lifestyle. Dr. Rosenkranz enjoys flying planes and helicopters. He also enjoys an occasional tennis game and site seeing with his wife. He looks forward to meeting you at our practice.